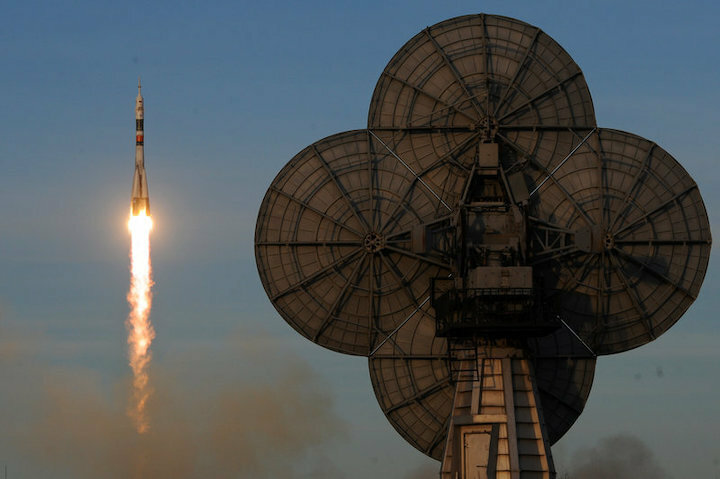 By the time McClain was about 5 years old, she said she wrote a book about flying to space on the Soyuz vehicle. Now she's floating around on the International Space Station, showing that sometimes childhood dreams do come true. 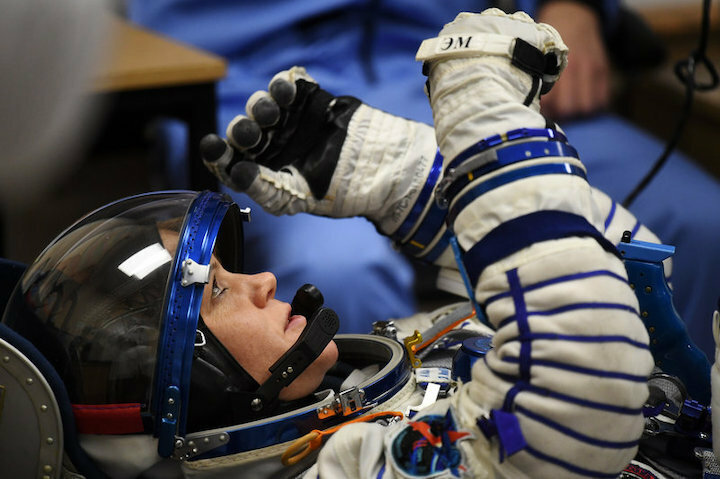 "When you are finally in space and you're finally looking back at Earth and you realize for the first time in your life there's nothing standing between you and your dream, it's just so hard to describe the profound impact of that," McClain, now 39, told NPR's Lulu Garcia-Navarro. Over the course of the interview, McClain flew a quarter of the way around the world. Every day she flies around the world 16 times, seeing a sunrise and sunset every 45 minutes. But by far, she said she prefers watching the moon. "My favorite thing to see that I've been surprised at is watching the moon rises and moon sets that just move so fast it's like it jumps off of the horizon and up and over us," she said. As McClain answered Garcia-Navarro's questions, a classroom full of children watched her on NASA TV, floating around. Astronauts often try to do tricks while floating, McClain said, such as trying to see how far they can fly without hitting the walls. Sometimes, she likes to work upside down. "Every day is a good day when you're floating," she said. "Your whole life you spend walking around Earth and then all of a sudden you get to fly like you've dreamed of." Then, it was the children's turn to interview McClain. The first question was from a 5-year old girl who asked, "What do you eat and what's your favorite food?" There are two types of food pouches that fly with astronauts to space, McClain explained. One is shelf-stabilized food, which can just be opened up, spooned out and eaten. The second type of pouch is for dried food, which gets rehydrated in space, McClain said. With both types of food, there's no shortage of options — some of McClain's favorite meals are chicken with peanut sauce, chicken fajitas, mushroom soup and turkey tetrazzini. "I think we have over 100 different kinds of food," she said. "They try to keep it so we don't get too bored with the food up here." Next, one child wanted to know how she slept. "You kind of just float inside of your sleeping bag and you attach your sleeping bag to the wall," McClain answered. "Then our arms kind of float up. So, we look a little bit like zombies." In total, she said she sleeps six or seven hours a night, less than she normally does on Earth, but that's not due to any discomfort. 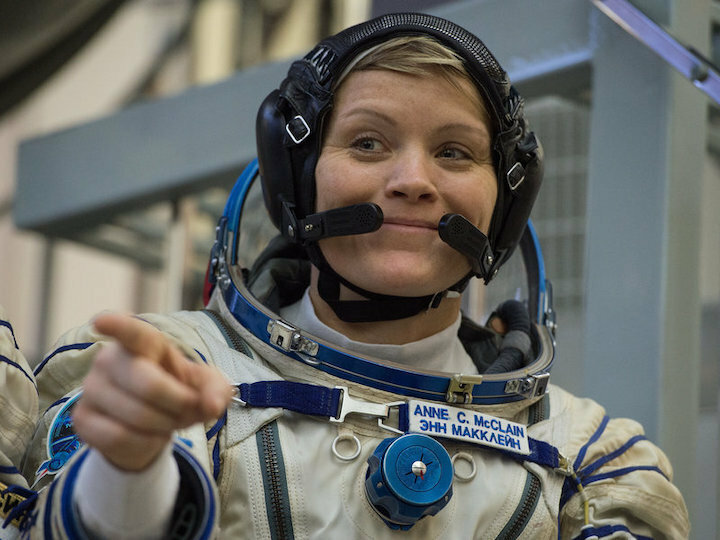 "I think it's because when I kind of wake up in the morning, I'm so excited to be up and to be in space that I just want to start my day and get going," McClain said. In the completely different environment among the stars, McClain relies on thousands of people in different space agencies to keep her safe. The experience is humbling and profound. "I will probably spend the rest of my life trying to find the right words to describe it," she said. For her young fans back on Earth, McClain had a message: their dreams today, even at such a young age, could someday be reality. "The biggest thing is not to give up," she said. "If you stay focused on that goal, you can shape your life in that direction." At the end of her interview, McClain waved to the classroom full of potential future astronauts and floated away, upside down.